Sunshine and working out are an awesome mix as long as you stay hydrated. 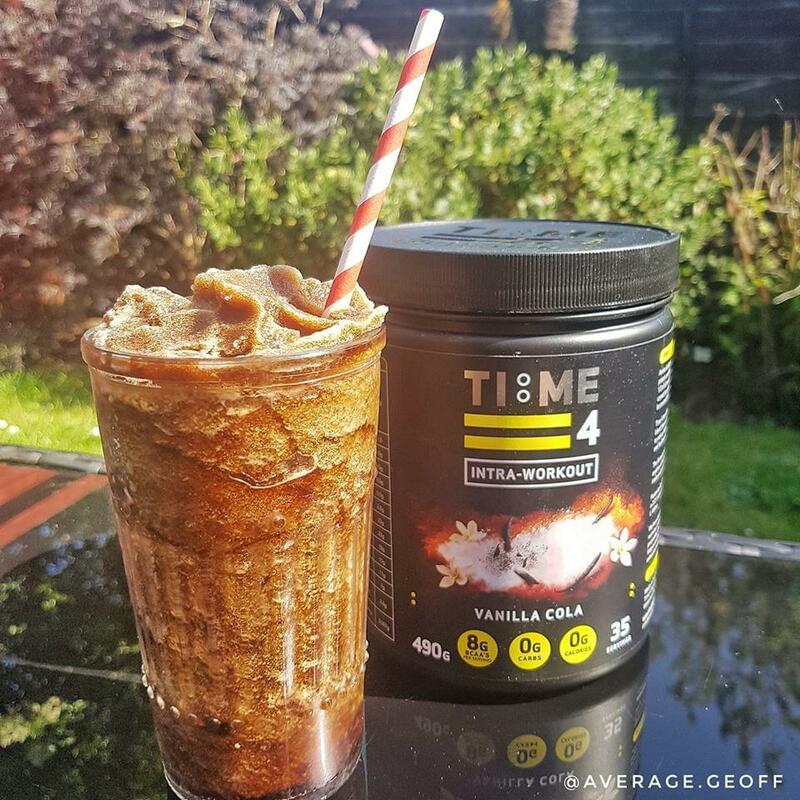 I'm loving Time 4 Intra-Workout Vanilla Cola flavour lately so I thought I'd share some summer love and a great, snappy recipe. Get a blender, Chuck it all in and blitz the hell out of it so you get a slushie texture. Pour into a glass and feel like a boss!